Pleasure Beach, Blackpool is Britain's favourite tourist attraction and lies in 42 acres, started with just one ride in 1896, and celebrated its Centenary in 1996.
visitors are made very welcome to the park with an Accessibility Guide Book, plus there are 30 wheelchair places available for each show in the Pleasure Beach Arena. 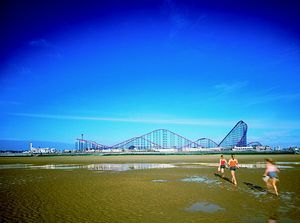 Britain's biggest privately funded millennium investment, Valhalla at Pleasure Beach, Blackpool officially opened in June 2000. Costing £15 million to build, Valhalla is the biggest most spectacular dark ride ever to be constructed by mankind. 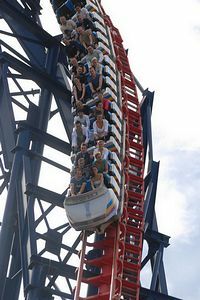 The £12 million Pepsi Max Big One opened in 1994 and is the tallest and fastest rollercoaster in Europe. 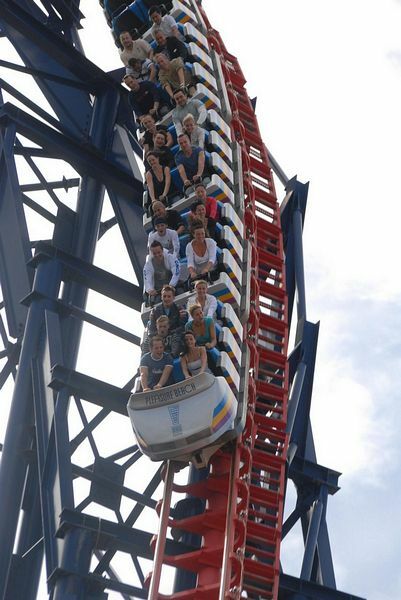 At 235 feet high and with speeds reaching 85mph, the Big One is certainly head and shoulders above the rest. 1997 saw the opening of yet another UK first, Ice Blast; riders are catapulted up a 210 foot tower at 80mph, and thrust back down again for an incredible free-fall descent. In 2007, Pleasure Beach's first suspended looping coaster, Infusion, arrived - the only one in the world completely suspended over water. Infusion marked a cool £8 million investment. 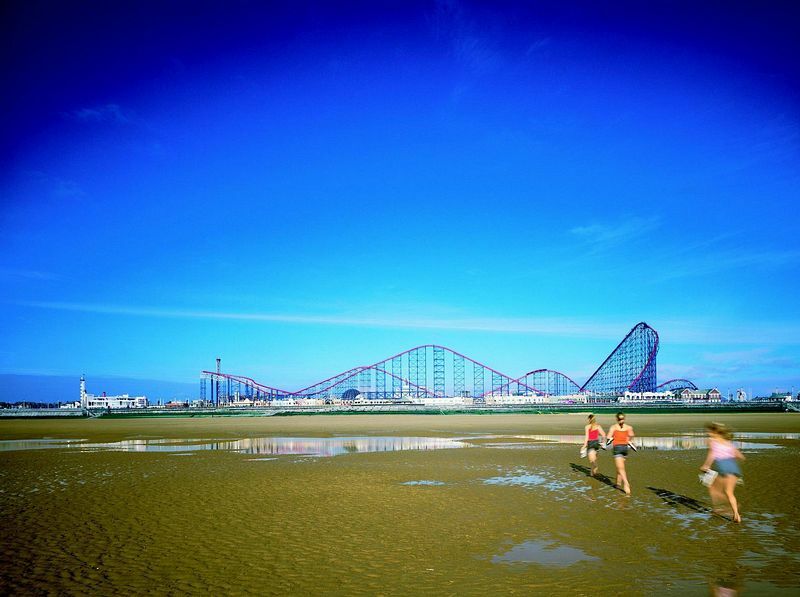 New for 2011 Pleasure Beach, Blackpool, is delighted to announce Nickelodeon Land, which will open at Britain's favourite tourist attraction in Spring 2011. This collaboration between Pleasure Beach, Blackpool and Nickelodeon, the number-one entertainment brands for kids, will see a 6 acre area of Pleasure Beach transformed into Nickelodeon Land, which will feature 14 rides, 9 are brand new and 5 are extensively re-themed existing rides. Nickelodeon Land also includes themed retail and catering outlets. New rides include SpongeBob's Splash Bash, which is an interactive ride where riders have the opportunity to turn the jets onto their friends and blast pesky jellyfish with jets of water for a splashing time. Avatar Airbender allows riders to join Aang on an amazing adventure, spinning and soaring through the air on a giant disk. The Rugrat's Lost River is a rollicking flume ride where you join the Rugrats on their quest to find the mythical Temple of Spoon. Take junction 32 off the M6 onto the M55. At the end of the M55 follow the signs for Blackpool, South Shore (via Blackpool Airport), then follow the brown tourist signs to Blackpool Pleasure Beach. There are over 1000 car parking spaces on site. By rail: Regular train services run to Blackpool North or direct to Blackpool Pleasure Beach's own mainline station via Preston. For National Rail Enquiries please telephone 08457 484950. By Bus or Coach: Telephone National Express on +44 (0)8705 808 080.